On a recent day visit to Blackpool, we decided to go to Madame Tussauds Waxworks on the promenade. First I would like to say that when we went there was loads of work to the promenade and this was also closed off to traffic, you could still walk down that way well parts of it. It does look like it will make it look very nice, as no offence to anyone that lives that way Blackpool had seemed to have gotten very tatty over the years. I think this will make to town look at lot nicer, Not sure when work started or will be finished if anyone know add a comment to let other know. We went on the 28th May 2011. Well now back to Madame Tussaud’s. Entrance price is £42.60 this is a family Ticket which includes 2 Adults & 2 Children. I would recommend buying your tickets in advance from the official website as at the moment you can save 20% off the ticket price. I didn’t realise this and normally I do look for offers or vouchers ie bogof (2 for 1) etc, its just on this occasion we was there and the kids wanted to go in. As we went in 2011, check offical website for upto date pricing HERE. 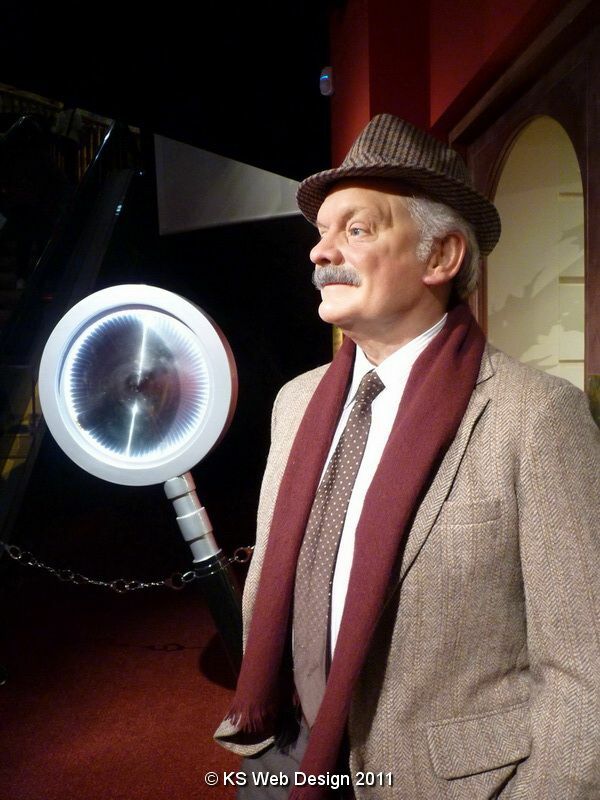 The last time I went to the waxworks museum was a good few years ago, at this time most of the waxworks you couldn’t touch or interactive with the figures. This time we went everything was interactive of sorts, Here are some of the people and figures on display. You could putt a golf ball with Tiger Woods, And interact with boxing, darts etc. There was the diary room for big brother, Gok’s shop were you could dress-up in different hats, wigs etc. There was a I’m a Celebrity get me out of here, were you could pose with Ant and Dec, a part you put your hands in with different things in to feel. The Music zone with Tom Jones, Kylie, Micheal Jackson, Freddie Murcury, J K, Lady Gaga etc. There is part of Coronation Street, with the frontage and inside of the Rover Returns. You can sit at the X-Factor panel desk with Simon Cowell & Louis Walsh. There was the crime part with Inspector Morse, Jack Frost, you can have your photo taken like you would in a police line-up. You could sit in a footballers locker room and sit next to David Beckham. The comedy Section with the two Ronnies, Morecambe & Wise, Ken Dodd etc. You can walk through the hall of mirrors. There is a good part which show you how the waxwork figures are made from start to finish, in the same room are the wax heads of some the previous figures on display. It was a nice visit to Madame Tussuards Waxworks, though I would have to say seemed a bit expensive for what it is, So defiantly recommend looking around for offer on the entrance price. The kids did really enjoy it and I think it is a lot better now they can interact with the figures as you don’t have to keep telling them not to touch 🙂 , so the visit was a great family day out while we was visiting Blackpool. Here are some of the pictures that I had taken around Madame Tussauds, click any of the photos below to see larger image.